When I started my blogging carrier, I faced many problems, and one of the things was money. If you are new to blogging, then you can feel the pain. 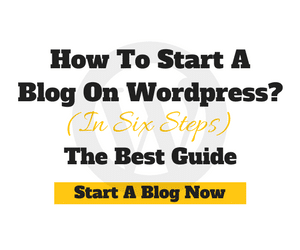 Yes starting a blog from WordPress is so simple but the tools involved are bit pricey! Some are even giving up their dream without having enough money to buy the tools. That’s why I created this WordPress Deals section to give all the necessary tools for blogging with more than 85% discount. Because I don’t want to miss who is passionate about blogging. 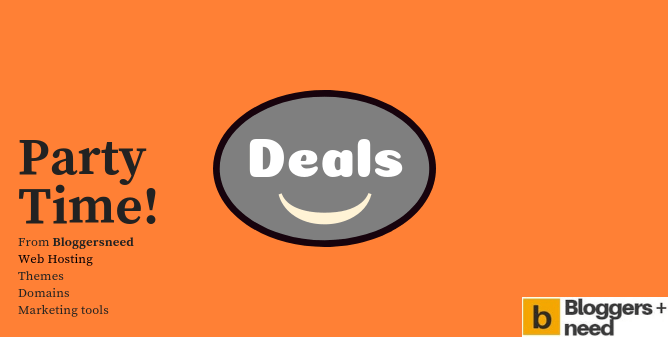 This Deals section gives maximum discounts for all products to save your money. Click this below section to view it quickly. You will love Siteground hosting, and it’s interface. Newbies can easily access it. You will get faster and safe hosting with the latest speed and security technologies from Siteground. One of the oldest web hosting provider and trusted worldwide. Now more than 2 million websites use Bluehost as their hosting. It’s my latest find and definitely not the cheapest hosting at all. However, trust me, when you use the Google cloud platform from Kinsta, you will experience unimaginable level of performance. Trusted by Big brands like SoundCloud, Under Armour, Trend Micro. If you’re starting a big business and looking for a top managed WordPress hosting with tight security and 100% Guaranteed Uptime. Then take WP Engine as your host. Known as the fastest web hosting provider with 20X loading speed. The secret behind A2 Hosting is their Turbo servers, and it will impact your website SEO rankings. Really the budget hosting for bloggers who can pay $1.99 per month. Ipage can host unlimited websites and will get a free domain for the first year is another happy news for you. I admired the level of performance it gives to all the niche sites that I’m currently hosted. I love FastComet hosting till now because of it’s 24/7 stunning customer support. Another oldest web hosting & domain service provider. This host gives you lots of features for low price. Hostinger is another fastest hosting provider and recommended by Cnet.com. I hosted my first site on hostinger only in 2010. So I personally know it’s performance. Glowhost is in the market for more than 15 years and One of the Green Web Hosting provider which runs only on Windpower. ICANN trusted & The #1 popular domain provider that sells all kind of domain extensions at the actual rate. Right now having 18 million customers from around the world. The cheapest domain seller with all kind of latest TLD’s to buy and different types of domain extensions updated everyday. Even you can pre-order domains. Mythemeshop owns 153 products and sells some of the best premium themes and plugins for WordPress websites. More than 500K customers around the world use this product for creating their websites. Loved by more than 500k customers and web design business owners is undoubtedly Elegant Themes. This single toolkit gives access to 87 themes including world famous Divi theme and website builder and 3 plugins to use. If you want to create a website with the Genesis framework, then choose Studiopress themes for your site. They have themes for all kind of websites, and all are mobile responsive SEO optimised, clean code, good security to create beautiful and professional looking sites. It is the single marketplace where you can find all themes from various theme developers for the different kinds of content managing system. MotoCMS is a convenient and functional small business website builder with a huge collection of designs for any business. Developing top-quality website templates for every purpose and need, MotoCMS got its credit not only due to the great experience and large army of customers but the drag & drop website builder with lots of plugins and widgets available to enhance the functionality of your business website with minimum efforts. Deep is the multi-purpose theme by webnus.net. 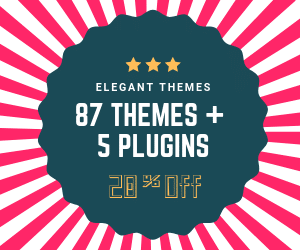 This theme got everything from inbuilt plugins to ecommerce features so you don’t need to install any third party plugins. Ranking No #1 Convertkit makes your work more manageable with a fully automated email marketing campaigns. Mainly if you’re a blogger or ecommerce website owner, this tool will get lots of subscribers and high conversions. This tool is simple and powerful at the same time. You can grow your audience with automated email sequences and send emails to your subscribers based on their behaviours. If you have a personal blog or regular website, then skip this tool and use either tool mentioned above. Because drip is only for ecommerce websites to make deeper conversions. Blogging is my full-time business it changed my life that’s why I created this WordPress deals for bloggers and Internet marketers. I will update this section regularly after finding discounts and coupons from different products. If you’re looking for a discount for other products which isn’t mentioned above then drop that tool name in the comment section. I will find it and update here. I most like the bluehost coupon amd deals. Really bluehost is one of the great hosting provider and is perfect for every new blogger and website owner. Really great deals mentioned. Thanks a lot for sharing it.